Making a Station in Martell TV is not the same thing as creating a Youtube Channel. Here are some best practices for how to gain the most benefit from our app. What Kind of Station to Create? Stations are intended to be a ‘hub’ for several different shows to syndicate in time slots. They are not meant for a single creator to list a few episodes of their Youtube show; rather, they are meant for 24 hours worth of content to be listed in a program schedule, just like how a channel guide on cable TV would work. We highly recommend not making <Your name here> Station. Instead choose a topic or theme for your Station to be about, such as our example station ‘Martell Games’ that features videos from multiple Martell Brothers Studios content creators who produce video game related shows on Youtube. Your Station should also have some variety to it; unless the show has a huge fanbase, people generally don’t watch marathon runs of TV shows. 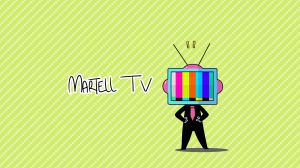 Martell TV has been designed so that traditional broadcasting techniques like block-programming and hammocking can be used by Youtube creators. There are numerous studies that demonstrate the most effective way to generate views to videos is to do cross-overs with other Youtube show creators who have fanbases your show can inherit; unfortunately, due to geographical differences it can be hard for creators to do collaboration videos often. Martell TV Stations are designed to make it much easier by not requiring creators to actually make special ‘cross-over’ videos; instead you can slot your shows in the same Station, where the audiences of everyone following that Station can be introduced to all the shows on that Station. Why Do I Want To Release Shows In Timeslots? 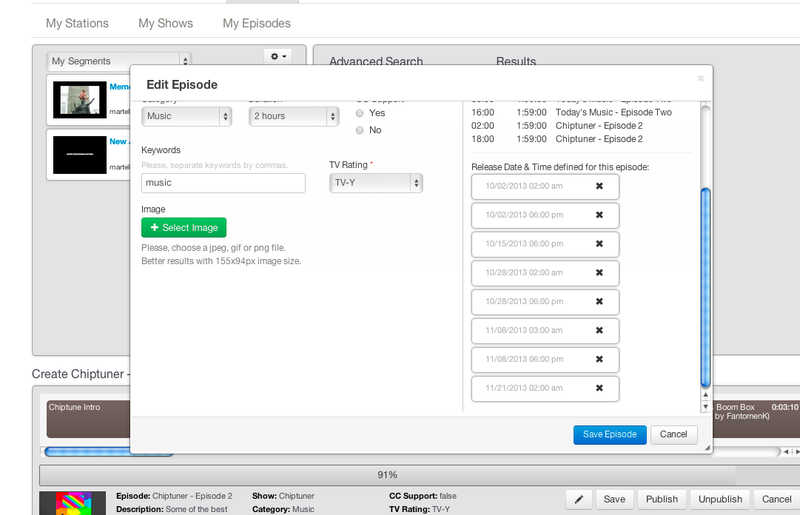 There are a couple powerful advantages to releasing episodes at a particular time and day, rather than whenever. Youtube’s search algorithm is designed to reward videos based on their popularity. Some of these factors are comments, ‘likes’ and reshares but how quickly a video receives views also makes it trend in the rankings. If you train your audience to watch a video at the same time, your video is more likely to ‘go viral’, so to speak, in Youtube’s top lists and search rankings. Youtube’s search algorithm also rewards watch time. Martell TV allows someone to load a Station and then sit back on their couch to watch several quality programs without needing to pick another video. This increases watch time for your video, helping it rank better on Youtube. When the majority of your audience watches a TV Show at the same time, your video is more likely to ‘go viral’ on other social networks. People tend to retweet and Facebook share about shows they like. Both Facebook and Twitter are designed to promote links shared by multiple users simultaneously (example: it’s a lot more likely you’ll see a status update about Game of Thrones when several of your friends post about it). Currently Martell TV lacks direct sharing to Twitter and Facebook but these features will be added in a future iteration using a remote control application you can load on an iOS / Android mobile device. We also recommend creating hour long programs. 5 minutes episodes are allowed but mainly to help fill empty timeslots when you program something unusual, like a 55 minute short film. At minimum, you should aim for half hour programs. Anything less than that and audiences will probably not click on the show because it’s too small of a time duration. Currently our scheduling system is very hands-on. Future versions of Martell TV will have a more refined system for auto-scheduling a show to be released on different days. In the meantime you can use this Word file ( Martell TV Schedule Day One ) as a template to keep track of the times you schedule your shows to air on your Station. It is important to have a consistent schedule of release so that audiences know what to expect from your lineup; for example, releasing the same show every day at 3PM trains your audience to return to your Station at 3PM to find the latest episode of your show. Just like with a Youtube channel, you need to tell people about your Station so they can find it. Future versions of the Martell TV app will have ‘Station Pages’; they will look somewhat similar to the Youtube One Channel re-design, but instead of choosing playlists the Station will list all the Shows coming out on that day’s schedule, along with future Shows to be released. You’ll also have some tools for plugging in Twitter and Facebook feeds, and a mailing list signup form. The TV Guide will also be customizable, allowing users to select what Stations they want to appear in their TV Guide while logged into the app. In the meantime, you can always share the Martell TV app to your friends on Facebook and Twitter to build awareness of your Station. If you have access to Youtube’s Live features, you can actually slot a live broadcast into an episode container. All you need to do is copy and paste the Youtube URL into the Search field inside the Episode Container Builder, and you should be able to add that video to the episode container. Our beta has launched! Click here to see the TV Guide! For additional information, please read our help page. PS: Please be sure to leave us feedback through this form, it will impact what new features we focus on bringing you. Ed Cartook the time to write about our app! Read the article here!